The Chromecast 2 and Chromecast audio will be available at discounted rates alongside Google’s Home range of smart speakers starting 4PM today on Flipkart. Amazon and Flipkart are competing for the next two day by offering deep discounts to their customers during their Prime Day and Big Shopping Days sales, respectively. While the two ecommerce companies compete, it’s a shopping extravaganza for buyers who are looking to pick up anything from smartphones to PC accessories, to speakers, and more. Our job here is to scour through all the deals and present you with the best ones available out there. One of the best deals we spotted Flipkart teasing on its platform is that on Google’s range of smart devices. Within Google’s device list, The Chromecast 2 is one of the most useful media streaming and casting devices that you can pick up today. 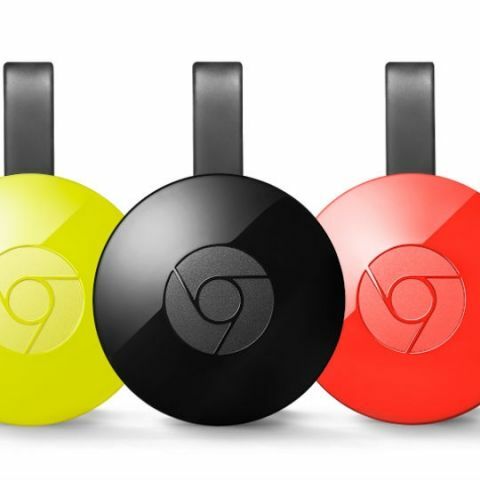 The Chromecast 2 enables users to stream content from their smartphone to the TVs with ease. The performance is better than its predecessor, and it can turn your dumb old TV into a smarter one.Click here to buy. During Flipkart’s Big Shopping Days Sale that starts at 4PM today, the Chromecast 2, which is currently priced at Rs 3,399 will be available for Rs 2,499. The Chromecast Audio, which is a music streaming device you can latch on to your speakers via an AUX cable, will be available for Rs 3,299 as against its original price of Rs 3,399 during the Flipkart Big Shopping Days sale that commences at 4PM today. Flipkart will also be discounting the Google Home and Home Mini smart speakers starting 4PM today, but their deal price is not yet known.Click here. Meanwhile, Amazon’s Prime Day Sale starts at 12 noon today and the ecommerce website is also discounting its Chromecast rival - Fire TV Stick - today. The Amazon Fire TV Stick will be available for as low as Rs 2,799, down from its current price of Rs 3,999. This is the lowest you will ever pay for Amazon's media streaming stick. Also, those who order the device from the Amazon Prime Now app will be eligible for an ultra-fast 2-hour delivery.